Happy Ink Day everyone! I’m sure you can guess what was the biggest challenge in inking today’s page as trying to drawing the New York skyline is never an easy feat. When doing large backgrounds you always have to be conscious as to where your main focus is going to be. The last thing you want to do is to lose your characters because you got caught up in making your background gorgeous. I am still taking submissions for Team Stryker fan art to display between Mission 004 and Mission 005! 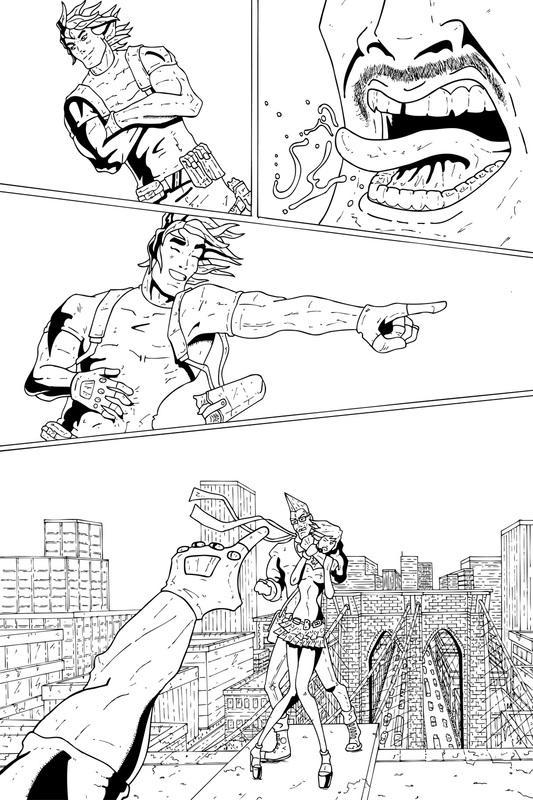 If you submit fan art to andrew@teamstrykercomic.com I will send you a print copy of Mission 004 for free! That’s it! Looking forward to seeing what you talented folk come up with.